You know when something is so close you can almost taste it? and the ham is in the fridge (check). Today the family is gathering (step-children have been arriving from all over NZ – one with a boyfriend in tow for the first time; another arriving with half a sheep as a Christmas gift). I started the home baking yesterday (a lovely stuffed picnic bread and then a chicken and bacon picnic pie) and am trying to remember to keep sight of the larger Christmas message as part of this festive season: my interpretation of which is to relax and cherish this special family time and to think of others, especially those with less. So let me take this opportunity to wish you and yours a very happy Christmas! Building projects don’t really stop for Christmas though, and we are so close now that we just want to keep the momentum going and FINISH. 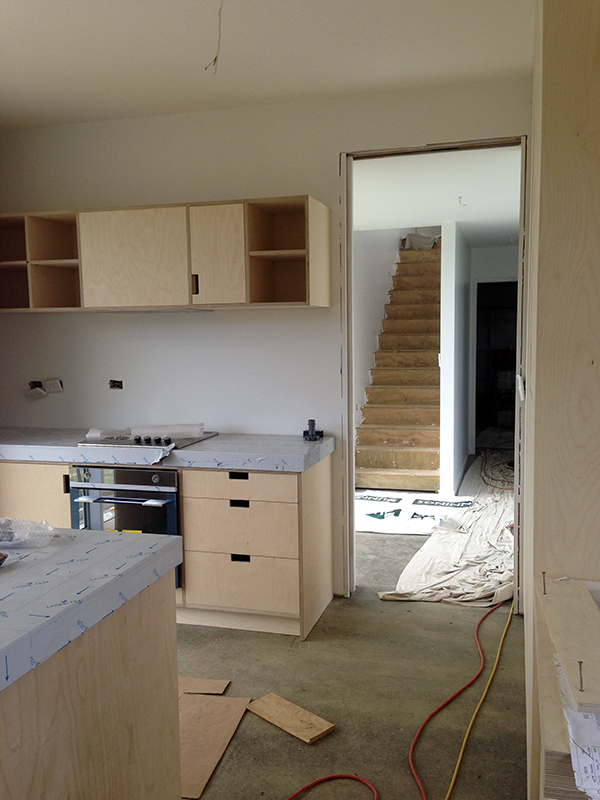 Here are a few snaps to show you progress on site. 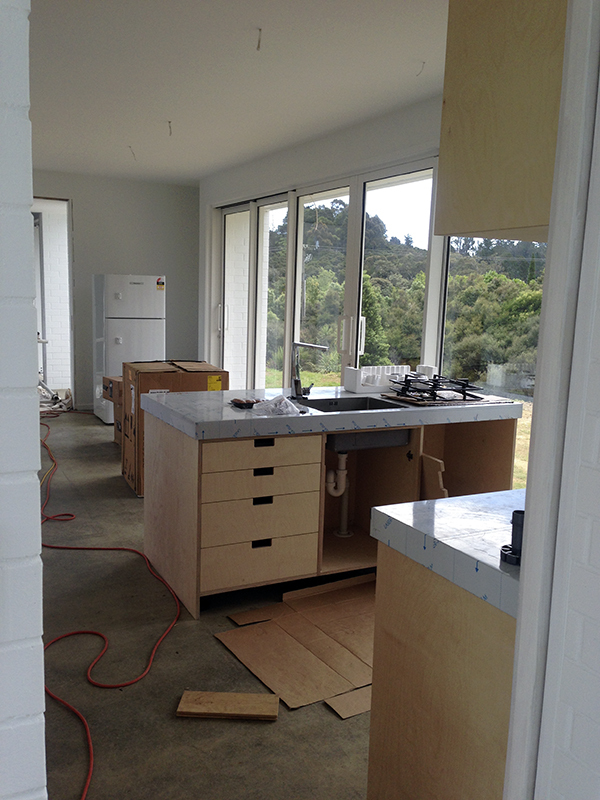 The plumber and electrician have been going hard out; the kitchen is being oiled and fitted and all our possessions are now being stored in the living room! 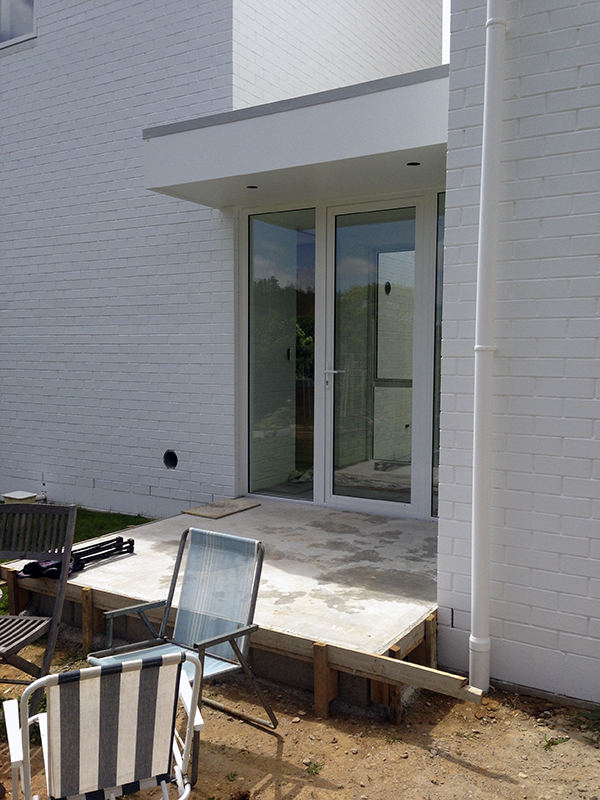 We hope to move in properly in early January… and we can’t wait! 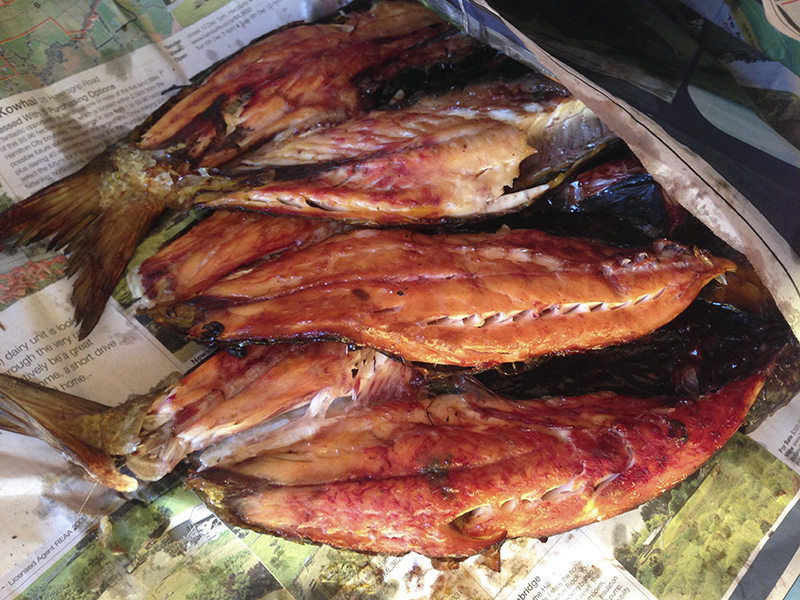 We have also found time for some iconic Coromandel summer experiences: setting a net for mullet, and then building a smoker in the garden to make our own smoked fish; shared meals outside and enjoying the longer evenings. 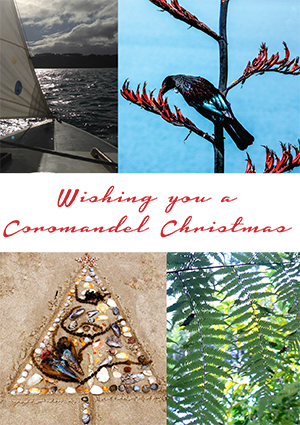 Coromandel is such a great place to live… hope you are as happy in your little corner of paradise… enjoy!